After my temporary re-location in Minnesota in November 1985, I visited Jim Bowers at his Spring Park Bay home (2905 Casco Point Road) in the Wayzata area on a wintry Saturday (21 Dec.) at 3.30 p.m., and decided to spend my entire two-week winter break on his property. Bowers was out on a retreat. His son Perry, 14, who had wisely decided to live with both his mom and dad after their divorce, came by in the evening. When I subsequently saw Jim’s former wife Kate, I felt utterly embarrassed to invite her into her own former home for a chat. She had come to put back Rosie, the dog that the Bowerses raised before their divorce. Bowers returned from the retreat next day and slept till late. In the afternoon, Bowers gave me a driving lesson on his Volkswagen GTI Hatchback. In the evening, he opened up on his personal life and explained why and how he and Kate parted company. Bowers flew to Colorado Monday early morning, and promised to be a better host after his return Friday night. The next morning, I dropped Bowers off at the Twin Cities airport. With Bowers’ explicit consent, I used his Volkswagen GTI for the next several days to visit people and places that I had missed during my 10 years in Australia and three years in Malaysia. I re-visited familiar places in the Midway and the vicinity, including the World Press Institute at Macalester College, where I chanced on a peculiar Sri Lanka student who was very reluctant to talk. He hesitantly revealed his last name only””‚De Soysa from Bambalapitiya. I also made a nostalgic tour to see the old haunts along the University Avenue from the Capitol to Dinkytown. I whiled away some time hobnobbing with the patrons of the King of Diamonds bar in Inver Drove Heights, which I had visited in 1969 with Gary Lundgren, a university student from Saint Paul. Lundgren was also responsible for introducing me to Payne Avenue Rec in Saint Paul, a popular nightclub. In those days, I was truly yearning for things Ceylonese. I was homesick. However good the American food was, I would settle for pol (coconut) sambol and heel-buth (left-over stale rice) any time. I even went to explore a place called Ceylon, Minn., simply because I couldn’t ignore the name. Thus, the Montessori gang allowed me to feel the home country ethos vicariously. Sunday (29 Dec.) morning, I ate brunch with my erstwhile Dinkytown buddies at the home of Tammy Buetow (260 Hawthorne Ave. N., Minneapolis). The Stapleses (George and Geruth) were present with their kids””‚Kaile, Morgan and Cullum). The Persons (Jud and Laurel) were there with their daughter Anne. Also present were the Iversons, the family of a high school friend of Tammy’s visiting from Texas. After stopping at Higgin’s home, I drove the Volkswagen GTI to Saint Paul to attend a New Year’s Eve celebration at the home of the Stapleses (1201 Dayton Ave.). Again, all my Dinkytown buddies were there, including Tammy Buetow and the Persons. “The meal was hearty. I enjoyed it,” I jotted down. Snowmobiling was a routine sport for Minnesotans. But for me, the erstwhile “Weligama Podda” from the village of Pathegama (in southern Sri Lanka), the very thought of maneuvering an unprotected snowmobile on the rough frozen icecap of a lake in sub-zero weather was enough to cause goose bumps. But the devil in me forced me to accept the challenge. Bowers probably incensed my lack of confidence but wanted to get a kick out of my trepidation. A snowmobile is an unprotected vehicle with an engine that drives a continuous track in the rear and skis in the front to enable directional control. The only enclosure it has is a windshield. Law requires a user to wear a helmet. Bowers failed to comprehend the vast cultural gap between him and me on handling snowmobiles. So, I suppose, he was reckless when he drove his snowmobile at a fast speed taking risky twists and turns. I tried to match his maneuvers and made it to our first stop on Wild Goose Chase Island (in Upper Lake Minnetonka), where we kicked up a conversation with several ice-fishing folks. They were presumably “enjoying” the winter cold spreading their fishing rods into the water below through holes bored on the icecap. Heaps of entrapped bluegills, bullheads, carps, crappies, sunfish, walleyes and the like lay by their side. I was not so lucky as Bowers entered the hilly and rough Boy Scout Island (in South Upper Lake). There, as I tried to follow Bowers driving up a hill, the breaks of my snowmobile ceased to work dashing the vehicle to stop at the mercy of a tree. Luckily, both my snowmobile and I endured the crash with little damage. After retrieving the snowmobile from the zone of mishap, Bowers declared it to be in fit condition for me to remount and follow him back to Spring Park Bay, where we parked our snowmobiles and went to celebrate the New Year with a steak dinner at the Minnetonka Mist restaurant. It was my first visit to a restaurant by snowmobile. The same evening, Bowers, Higgin and Jud Person joined me for dinner at the Sri Lanka Curry House restaurant, located on Hennepin Avenue, just north of Lake Street. Restaurateur Evan Balasooriya provided us with a hot godambaroti (a parchment-thin wheat-flour) meal. Tears were dripping from Bowers’ eyes as he immersed himself in tasting a variety of typical Sri Lankan dishes. “I enjoyed the spicy food although I cried,” Bowers confessed later. We repaired to Person’s home (Garfield Avenue South) for dessert. Saturday (4 Jan.) morning, Bowers, Higgin ad I, together with dog Rosie, went for a long walk on Lake Minnetonka. Apparently, Bowers had conceived the walk to give me a sense of the peculiar feeling a tropical individual would experience by literally walking across the frozen icecap of a real lake. We crossed Spring Park Bay (see Figure 1) to Black Lake, and walked on a swamp to reach the Country Kitchen, a chain restaurant on Shoreline Drive in Spring Park. I was in a generous mood to bear the expenses of the pies and coffee we consumed. After eating, we walked back to Bowers’ home (2905 Casco Point Road). Then, I took off on the Volkswagen GTI to Minneapolis, where I spent the rest of the day. When I returned about 8 p.m., Bowers and Higgin had prepared a veal dinner on a grand scale. Perry Bowers and his friend Mark joined us for dinner. Later, we chatted over toasted chestnuts. My two-week winter break with Bowers came to an end Sunday (5 Jan.). When Higgin unexpectedly left for her home in Minneapolis, Bowers seemed emotionally shaken up. Bowers took off to eat brunch and returned home about 2 p.m. in time to say goodbye to me. Jim Fritze, the same NDSU student who shared the ride to Minneapolis with me the Saturday before last, stopped by to share the return ride to Moorhead. It turned out that Bowers and Higgin had decided to break up because they deemed each other incompatible. However, they met occasionally as friends. It was on a spring Wednesday (23 April) that I saw Bowers again. I stayed the night before at the YMCA in downtown Minneapolis because Bowers failed to pick me up at the Greyhound bus station when I arrived there at 11.15 p.m. He compensated for his forgetfulness by picking me up at the same venue at 5 p.m. next day and taking me to the Sri Lanka Curry House, where Higgin also joined us for dinner. Thereafter, we whiled away some time exploring the specialty shops in the nearby Calhoun Square before we came to Bowers’ home. Before we went to bed, Bowers, his dog Rosie and I went for a moonlight walk. The next morning, Bowers took me to see his crushing operation at Laurel Avenue in Golden Valley. From there, we went to Crystal Welding in Osseo, where we ate lunch. In the afternoon, we visited the Walker Art Center to see the “Tokyo: Form and Spirit” exhibition. He also took me to see new cars at a Toyota dealer since I was planning to purchase a Toyota Camry station wagon next school year. He took me home to eat a pizza dinner, and then dropped me off at the Greyhound terminal in the city in time to board the 6.15 p.m. bus to Moorhead. On this visit, I hired Jerome B. Ingber, an immigration lawyer in Minneapolis, to handle my case for U.S. permanent residence. Because I was teaching in Moorhead on a temporary visa, the U.S. immigration rules required me to return to Australia, where I was a citizen, to apply for permanent residence in the United States. My plan was to leave for Australia at the end of May, get the required visas for the entire family, and return to the United States before the end of November 1986. Yoke-Sim and Junius were with me in the United States in 1983 (my Fullerton Year), just before Carmel was born. We decided that it was best for them to stay put in Australia during my first year of teaching at Moorhead until we untangled the U.S. visa problem. Despite our close ties, Bowers was still a stranger to my wife and two children. They had never met. That anomaly was about to change. (To be continued Figure 1: “THE BOWERS’ HABITAT” on Lake Minnetonka. A=Spring Park, where the Bowerses (Jim and Kate) lived in the Shoreline Apartments from 1968 to 1971; B =2905 Casco Point Road [P.O. Wayzata], where Bowers lived from 1971 to 1995″”‚with first wife Kate (until 1984) and with second wife Kathleen (from 1991 to 1995); C=220 West Lake St., Excelsior, where the Bowerses (Jim and Kathleen) have lived since 1995. Immediately to the southwest of B is the tiny Wild Goose Chase Island. Further to the southwest is the hilly mushroom-spaced Boy Scout Island, where the author’s snowmobile went out of control and ran into a tree. 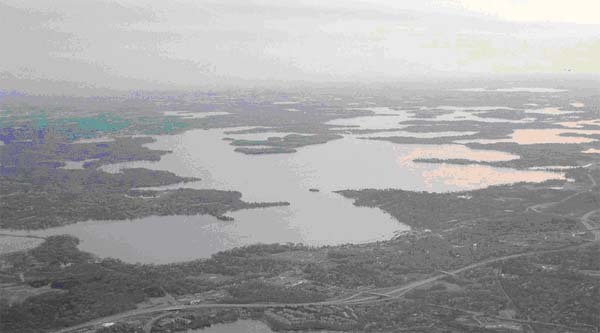 Picture 1: An aerial view of the 14,528-acre Lake Minnetonka, a historically recreational destination of numerous islands and bays, which turns into a vast expanse of frozen ice suitable for walking, skiing, snowmobiling and ice-fishing in the winter. This entry was posted on Saturday, September 4th, 2010. You can follow any responses to this entry through the RSS 2.0 feed. You can skip to the end and leave a response.